Catalyst Energy develops annual oil and gas drilling programs. Catalyst Energy, along with our partners, has participated in these shallow oil and gas well programs since 1992. In recent years, we have developed between 50 and 180 wells annually, bringing the total number of wells we operate to more than 1,200. 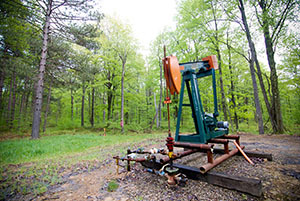 Our shallow oil and natural gas wells – and the Appalachian Basin in general – offer a wide array of natural resources. We’ve been drilling in Pennsylvania for more than 20 years. In-house geologic experts give us the ability to derive meaningful, reliable, actionable information from the data we use. Our cost-efficient business model, competent management, extensive experience and mineral rights holdings form a solid foundation for our professionally managed oil and gas drilling programs. A strong local presence is a key advantage during negotiations.